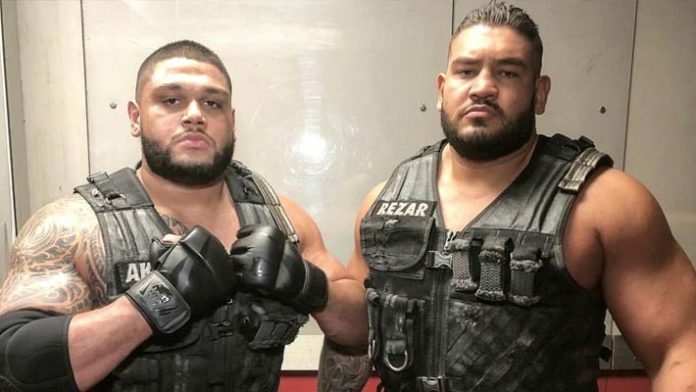 Authors Of Pain member Rezar is looking jacked after a recent workout, and find out what happened after SmackDown Live went off-air. WWE’s tag team division has been without former RAW Tag Team Champions The Authors Of Pain, as one-half of the team, Akam, has been dealing with an injury. In the meantime, Rezar has been getting work on WWE Main Event and live events. He has also been going hard in the gym. There’s currently no update on Akam’s status or when we might see AOP make their return. Last night’s episode of SmackDown Live featured the second night of WWE’s Superstar Shake-Up. Several names moved brands, including Roman Reigns, who is now a member of the SmackDown Live roster. It was expected that some big names would move over to the blue brand given SmackDown is moving to FOX in October. “The Big Dog” proclaimed after attacking Vince McMahon and Elias last night that SmackDown Live is his yard now. After the show went off-air and 205 Live taped, Reigns returned to the ring to face-off with Randy Orton. However, the match never had an official ending. Reigns hit Orton with a spear before “The Viper” rolled out of the ring. Reigns’ music his as though he won the match, but nobody was ever pinned or submitted.